For more information, visit www.iconoclastartists.org. 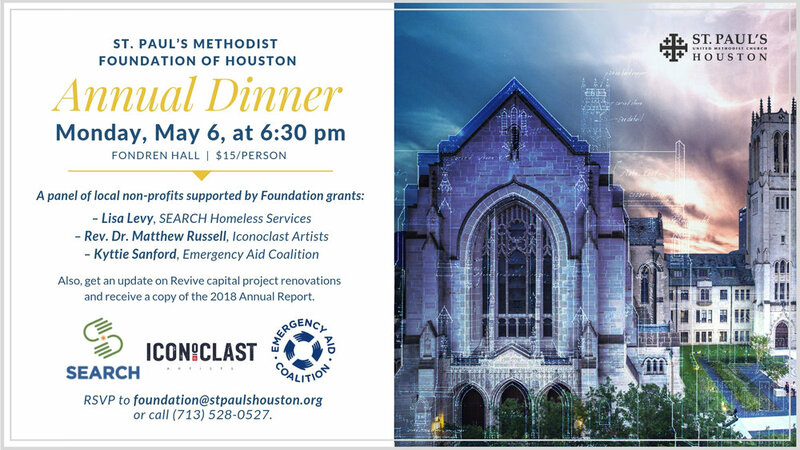 St. Paul’s Methodist Foundation of Houston was established in 1960 as a permanent endowment to undergird the church’s facilities and ministries. Thanks to generous donors throughout the years and prudent investment strategies, the Foundation now has a robust fund balance of over $20 million and is uniquely positioned to be here for good. Being here for good means the Foundation: 1) safeguards financial stability for the church’s future and 2) supports St. Paul’s commitment to pursue the common good. Each year, the Foundation takes a portion of its fund earnings to provide scholarships to college students and makes grants to support the efforts of local ministries and international missions. In 2018, the Foundation made 23 grants ($79,208 total) to non-profit organizations. Guests will also get an update on Revive capital project renovations and receive a copy of the 2018 “Here for Good” Annual Report. For questions, please email foundation@stpaulshouston.org or call 713-528-0527. To pay for your meal online, visit our online giving platform. The Foundation Annual Dinner is $15/person. Select “Payments” from drop-down menu. Primetimers: "Asian-American Immigration in Houston"
Have you ever had a checklist that seems never-ending? Let's help our neighbors still recovering from Harvey get some things checked off. Come for any part of the day. We will train you on the job; ages 13 and older welcome. More details via www.stpaulshouston.org/harvey or contact Amy Taylor, Director of Missions, via ataylor@stpaulshouston.org or 713-528-0527. Are you new here? Join us for Coffee with the Pastors, a family-friendly time of coffee and conversations with our St. Paul’s clergy and others in the Jones Building Lobby. Today is the final deadline to sign up for this trip. About the Trip | Discover the Holy Land with a group from St. Paul’s who will be taking a pilgrimage September 16-27, 2019. This transformational experience will include visits to many of the places we’ve read about in the Bible and to understand them with greater depth and appreciation. Our group will walk in the footsteps of Jesus, touring the Galilee region (Nazareth, Tiberias, Capernaum, and Mount Hermon). We will travel south to the Dead Sea and visit Masada and Qumran (site of the Dead Sea scrolls). In Jerusalem, we will visit the Mount of Olives, walk the Palm Sunday Road, visit the Upper Room, as well as the House of Caiaphas, and the Via Dolorosa. We’ll spend time at the Western Wall, Church of the Holy Sepulchre and the Pool of Bethesda in the City of David. On our last day, we will visit Bethlehem, the Herodian, and Yad Veshem (Israel’s Holocaust Museum). If you have questions about the trip, please contact Rev. Andrew Wolfe via awolfe@stpaulshouston.org or 713-528-0527. The week of June 17–23, St. Paul’s UMC will again host the Royal School of Church Music (RSCM) Gulf Coast Summer Course. Girls ages 10–18 will be immersed in sacred music under the direction of world-class musicians. This year, our clinician will be Walden Moore, Director of Music at Trinity Church on the Green in New Haven, and our course will feature music from the Italian Renaissance and pieces written by female composers. Singers are housed at the University of St. Thomas and rehearse at St. Paul’s. As the congregation has done so faithfully in years past, we invite you to show your amazing support of these young singers. Attend Worship: Come hear the beautiful music RSCM choristers have prepared all week. We hope you’ll attend any or all of these worship services, and invite your friends! Volunteer: Every year, we count on dedicated volunteers to help us with airport transportation, ushering for the services, setting up and/or serving meals. If you are interested, please contact volunteer coordinator Beth Brown via bobbeth@sbcglobal.net. Make a Donation: We appreciate and depend on your financial gifts. Donations go toward snacks, music supplies, transportation expenses, lodging at the University of St. Thomas, and partial scholarships for singers. Give in the offering plate during worship, or go to www.stpaulshouston.org/give and click GIVE ONLINE. Make a one-time donation by choosing “Other” from the drop-down menu and put “RSCM” in the memo line. Thank you so much! Join us for this great week of faith, fun, friendship, powerful Bible stories, great music, and helping others! The action begins Sunday, July 28 for children age 4 years through completed 5th grade. This year’s exciting theme is To Mars and Beyond - Explore where God’s power can take you! Of course, you’re welcome to invite your friends! Cost: $30/child. For more details, contact Ellen Edwards via eedwards@stpaulshouston.org or 713-528-0527. Ready to volunteer? Opportunities to serve in this high-impact week include: planning team, classroom leader or assistant, decorations, food, storytelling, arts and crafts, assembly and music, recreation, safety, and supply coordination. Join us! Our March Planning Luncheon is Wednesday, March 20, at noon. To volunteer or RSVP, contact Helen Spaw: hspaw@stpaulshouston.org. Emma Wilking and Diana Dang will discuss the six basic functional emotional developmental levels based on the Developmental, Individual Differences, and Relationship-based Model (DIR). Wilking and Dang are pediatric occupational therapists who opened Foundations Pediatric Therapy to offer integrated and holistic care for children and their families. They believe in building meaningful relationships to support social emotional development, facilitate sensory integration, improve gross and fine motor coordination, and decrease anxiety. Foundations Pediatric Therapy serves children with sensory processing disorders, Autism Spectrum Disorders, ADHD/ADD, Down Syndrome, Cerebral Palsy, genetic disorders, emotional/behavioral challenges, learning disorders, and developmental delays. Cost: free; Parent Education Events are open to everyone. Click on map to enlarge. Those with mobility concerns are invited to use the accessible ramp (highlighted in yellow) near Fannin Street and be seated in the Sanctuary. Walk Through Holy Week: All are invited to journey through a multi-room display depicting Jesus’ last week in Jerusalem. It will remain open through Easter Sunday. Start the walk in the Jones Building Lobby and travel room by room through the Jones Basement. 11 am: Children’s Good Friday Tenebrae Service in the Chapel with St. Paul’s Youth Strings, followed by snacks and labyrinth walk in the Activity Center. Noon: Worship Service in the Sanctuary with music by St. Paul’s Choir. Homilist: Rev. Karyn Richards-Kuan. 7 pm: Dual language (Spanish/English) Worship Service in the Sanctuary. Homilist: Rev. Nataly Negrete. 7 pm: Easter Vigil. Begin on the outdoor Labyrinth then process into the Sanctuary. The service will feature the music of Philip Baker and René Clausen sung by St. Paul’s Choir. 8 am, 9:30 am, and 11 am: Worship in the Sanctuary with music by St. Paul’s Choir, including the Hallelujah Chorus by Handel. Rev. Tommy Williams will preach all three services. Flowering of the cross all morning near Main Street steps. 5 pm: Servicio de Pascua a la capilla (en español). Internationally renowned performers, Jeremy Filsell and Erik Suter, present a varied program, including Franz Liszt’s Prelude and Fugue on BACH, Earl Wild’s Etudes on themes by George Gershwin, and Rachmaninoff’s Variations on a theme of Paganini, arranged for piano and organ. Lunch and children's programming will be provided. For more details or to RSVP, contact Rev. 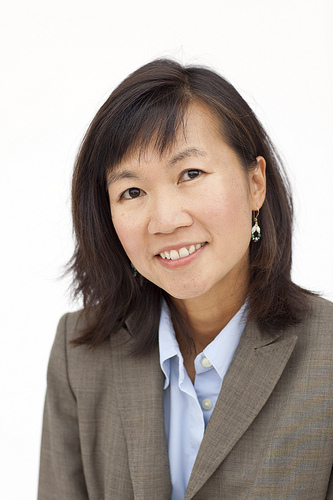 Karyn Richards-Kuan via krichards-kuan@stpaulshouston.org. Inhale and engage spiritual practice as a breath of fresh air on the journey. Conspire provides an alternative to a world characterized by overwhelming speed, frantic lives, and failures to connect with others, ourselves, and the Holy. Conspire is designed to create places of community, belonging, spiritual formation, and compassion in action. The East End Missional Community currently participates in community organizing around two key concerns: housing affordability and food insecurity. With our partners in the East End, we have created a garden collaborative that connects all the community gardens throughout the area. We are also establishing garden clubs at each local elementary, middle, and high school. These community gardens not only produce fruits and vegetables that can supplement the diets of our neighbors, they also give students and neighbors places of pride in their community. So far, we have had tremendous support from students, parents, teachers, and community members who want to start gardening or are expert gardeners. Come join us! Rev. Paul Richards-Kuan invites members and friends in the St. Paul's community to come volunteer on Saturday, March 23, 9 am–1 pm, at Navarro Middle School (5100 Polk Houston, TX 77023). “This would be an excellent way get to know some East End neighbors, see some of the East End, and get your hands dirty in service to God,” he says. For more details or to be added to a list of future community garden volunteering opportunities, email prichards-kuan@stpaulshouston.org or call 713-528-0527. Under the direction of Dr. Gary Seighman, the Trinity University Chamber Singers are comprised of 48 undergraduate musicians committed to choral artistry of the highest quality. They will be joined in their concert program at St. Paul’s United Methodist Church, Houston on Friday, March 22, at 7 pm, by St. Paul’s Choral Scholars. This performance is free and open to the public. In 2017, Trinity University Chamber Singers were one of only 12 choirs in the country selected to perform for the National Collegiate Choral Organization Conference in Baton Rouge, LA. They are also regularly invited to perform for the Texas Music Educators Association (TMEA) Convention. The Chamber Singers enjoy touring nationally, throughout the region, and abroad. They recently served as ensemble-in-residence for the 2018 Eisenstadt Classical Music Festival in Austria where they performed Haydn’s Die Schöpfung and Beethoven’s Mass in C Major. In Spring of 2020, they will be traveling to New York City where they have been invited as the featured ensemble for a program at Carnegie Hall. There they will perform a major work with the New York Chamber Orchestra and also give a spotlight a cappella program of their own on the main stage. The Chamber Singers are frequent collaborators with the San Antonio Symphony, having recently performed Mozart’s Mass in C Minor, Ravel’s Daphnis et Chloe, and works by Verdi, Berlioz, and Brahms. As advocates for new music, the Chamber Singers have introduced many new works to the choral repertoire including joint premieres with Grammy-nominated New York Polyphony and the renowned Minneapolis-based ensemble, Cantus. They premiered a composition at the 2017 College Music Society National Convention based on astronomical data from the NASA Kepler Mission and traditional melodies of the Coahuiltecan people indigenous to South Texas. In 2018, they enjoyed a collaboration with Chanticleer and renowned composer Dan Forrest. Other recent projects include a Spanish Baroque program with the Walden Chamber Players of Boston, Henry Purcell’s Dido and Aeneas with period instruments, Tomás Luis de Victoria’s 12-voice Missa “Laetatus sum” in Washington, DC, Aaron Copland’s In the Beginning in Dallas, and the nationally-touring Legend of Zelda: Symphony of the Goddess multimedia concert at the Majestic Theatre. Iconoclast Sessions are free performance gatherings that pair academic poets with spoken word poets. In addition to introducing Iconoclast students to a wide variety of literary expressions, these sessions create a context where communities that would not otherwise meet can begin to build friendships. 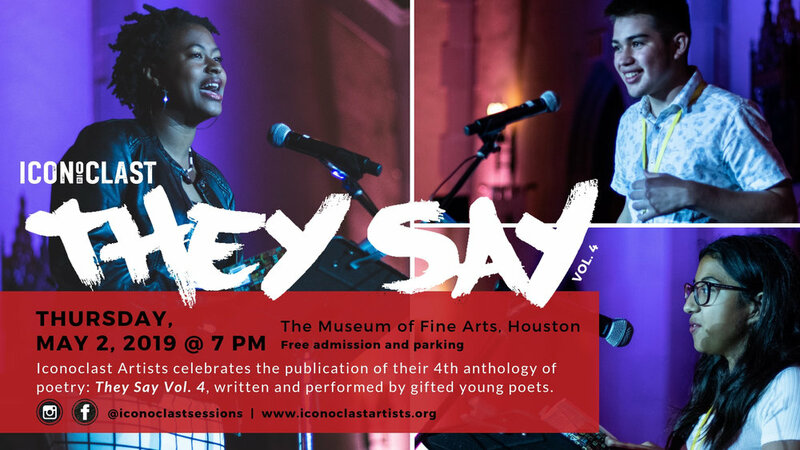 Learn more about the upcoming featured poets in Houston and Galveston locations: www.iconoclastartists.org. *Special thanks to Collin Boothby for substituting for Christopher Betts who was originally scheduled to perform this recital but is recuperating from a foot injury. 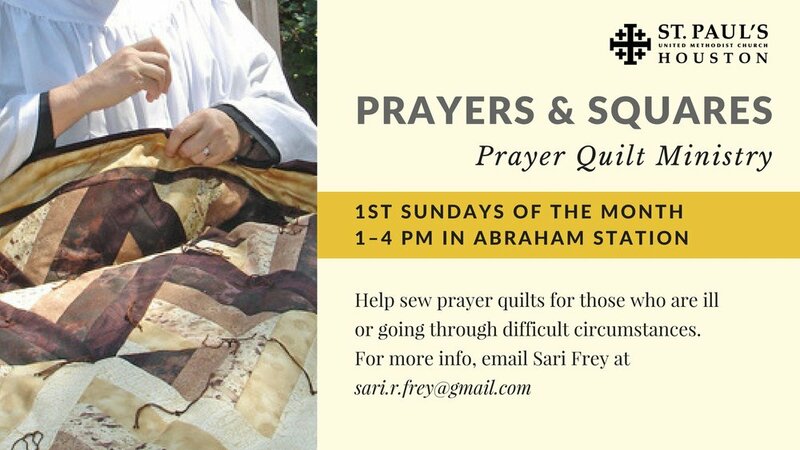 Build a trusting relationship and share on Sunday mornings the spiritual life of a child with special needs through individually designed activities. One hour on Sunday mornings can make a world of difference in the life of a child. No prior experience required; training and background checks are provided. To learn more about this opportunity, attend an informational luncheon on Sunday, March 17, at 12:15 pm, in Fondren Lounge. Led by Helen Spaw, MPS, lunch and childcare will be provided with RSVP via hspaw@stpaulshouston.org. For more details, contact Rev. Andrew Wolfe via awolfe@stpaulshouston.org or 713-528-0527.